Guangzhou Baiyun International Airport Co. Ltd.
Guangzhou Baiyun International Airport (IATA: CAN, ICAO: ZGGG) (simplified Chinese: 广州白云国际机场; traditional Chinese: 廣州白雲國際機場; pinyin: Guǎngzhōu Báiyún Guójì Jīchǎng) is the main airport of Guangzhou, the capital of the province of Guangdong, People's Republic of China. 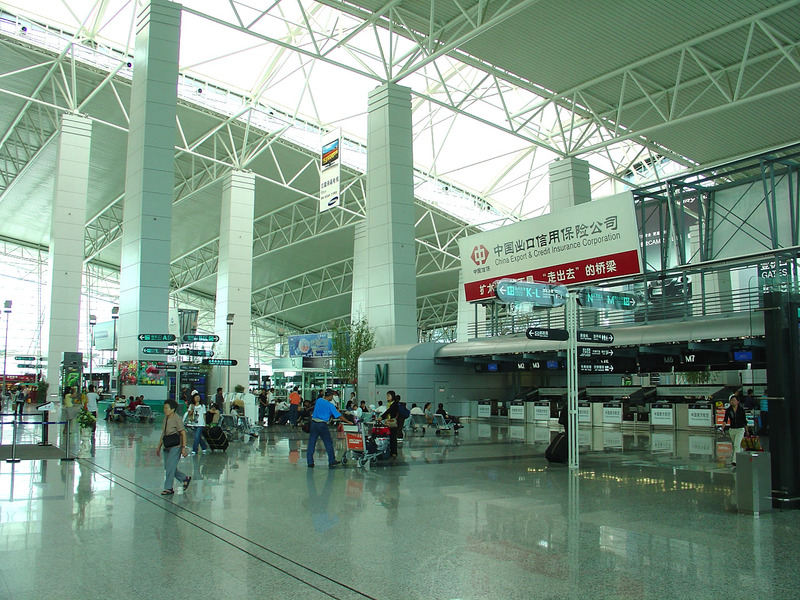 Both airport codes were inherited from the previous Guangzhou airport, and the IATA code reflects Guangzhou's former romanization Canton. The airport is the main hub of China Southern Airlines and a focus city for Shenzhen Airlines. In 2009, Guangzhou Baiyun International Airport was China's 2nd busiest and world's 22nd busiest airport in terms of passenger traffic, with 37,048,550 people handled. 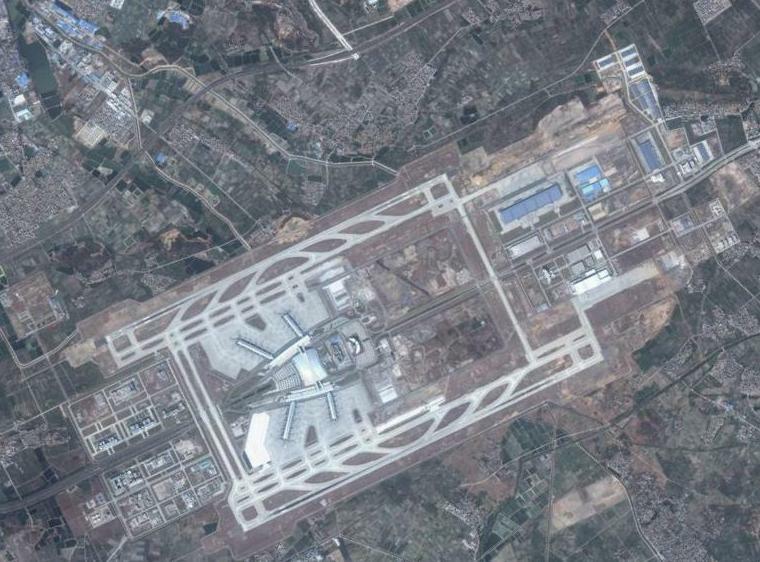 As for cargo traffic, the airport was the 3rd busiest in China and the 21st busiest worldwide. 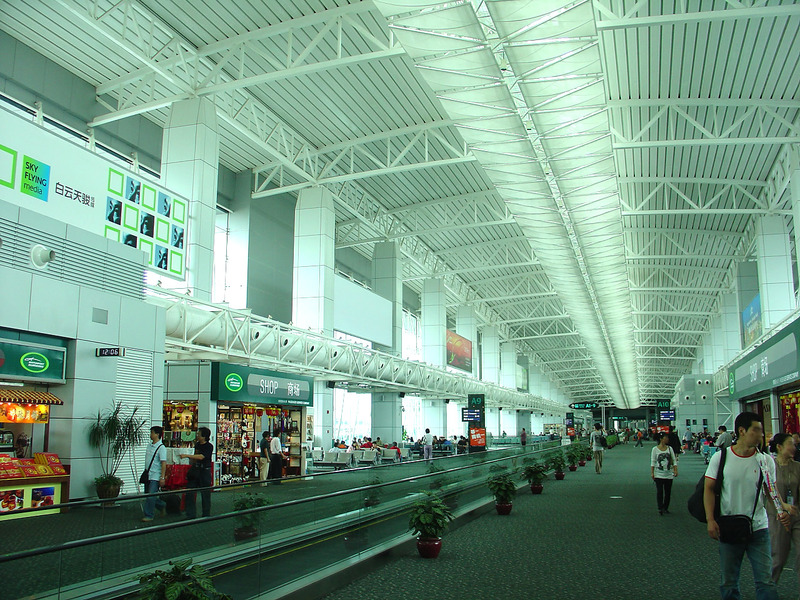 Guangzhou airport is also the 2nd busiest airport in terms of traffic movements in China. 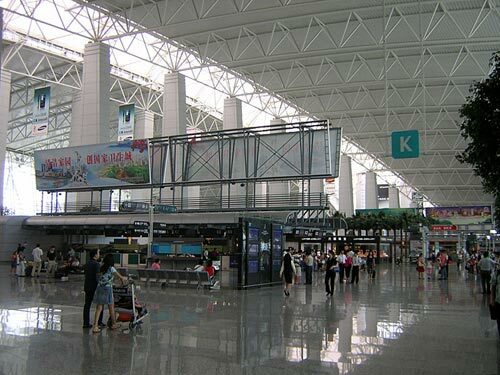 The current airport in Huadu District opened on August 5, 2004, replacing the 72-year-old previous, identically named Guangzhou Baiyun International Airport (now closed). The new airport, built at a cost of 19.8 billion yuan, is 28 kilometers (17 statute miles) from downtown Guangzhou and nearly 5 times larger than its predecessor. The opening of the New Guangzhou Baiyun International Airport had relieved most of the controversies of the older and deteriorated airport because of the limited space, overcrowding and lack of expansions. Its opening allowed it to overcome curfews and restrictions and begin a 24 hour operation. This meant that China Southern Airlines could highly utilize their intercontinental routes by flying overnight. Other airlines have this benefit too. "Baiyun" (白云) means "white cloud" in Chinese, and refers to Baiyun Mountain (Baiyunshan) near the location of the former airport. The airport is also referred to as "New Baiyun" to distinguish it from the previous version, but this is not a part of the official name. A new metro station located under the existing airport terminal building, named Airport South, is under construction. The station is part of the Line 3 northern extension project which will link the airport to the city. The new line is due to be completed in 2010 before the 16th Asian Games when travelling time between the airport and the city centre will be reduced to about half an hour. 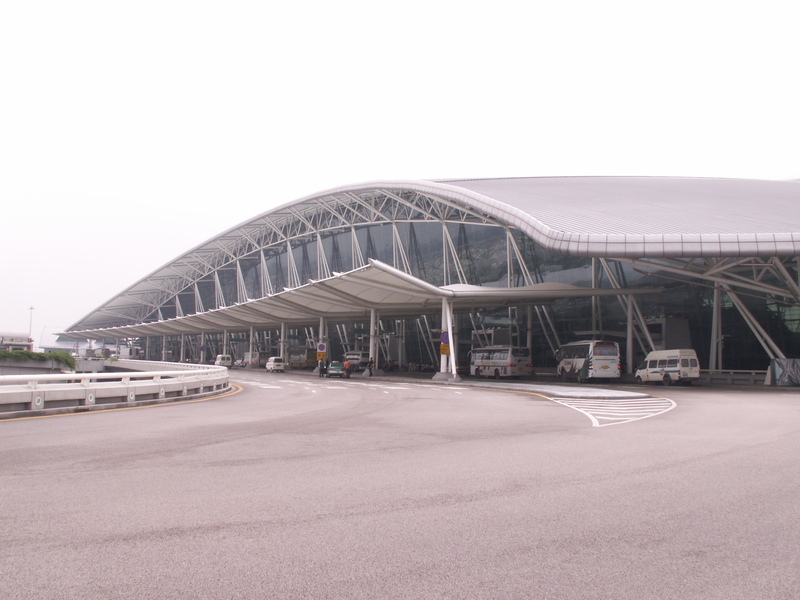 In August 2008, the airport's new expansion plan got approved by the National Development and Reform Commission of China . According to the expansion project, the airport will build a third runway located 400 metres east of the existing east runway. The new runway will be 3800 metres long and 60 metres wide. Other facilities of the expansion plan include a 531,000-square-metre Terminal 2, a new indoor car park and an outdoor car park, a transportation centre and a metro station which will serve Terminal 2. The total cost of the project will be ¥14.036 billion. 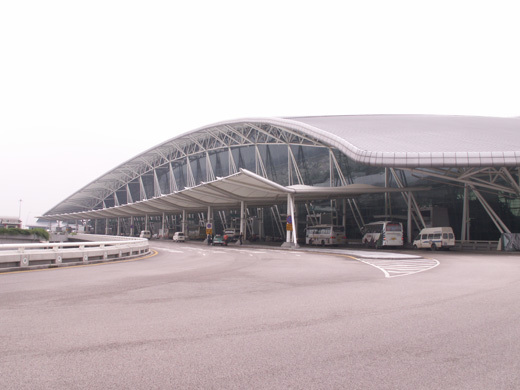 Construction of Terminal 2 is estimated to start in 2010. When the whole project is finished in 2015, the airport will be able to handle 75 million passengers and more than 2.17 million tonnes of cargo a year. On July 13, 2005, FedEx Express signed a contract with the airport to build a new Asia-Pacific hub at the airport. The new hub is the largest FedEx hub outside the United States, and replaced the hub at Subic Bay International Airport in the Philippines. The new Asia-Pacific hub covers an area of 63 hectares(155 acres), with a total floor space of 82,000 square meters. 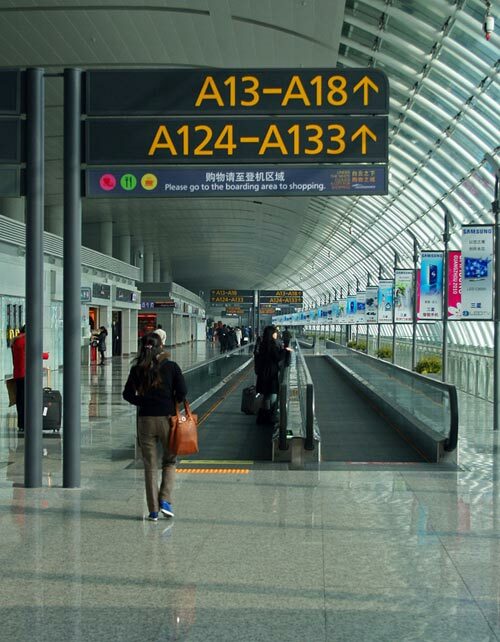 At the beginning of operation, the hub employs more than 800 people and operates 136 flights a week, providing delivery services among 20 major cities in Asia and linking these cities to more than 220 countries and territories in the world . According to FedEx, the hub has its own ramp control tower, a first for an international air express cargo company facility in China, which enables FedEx to control aircraft movements on the ground, aircraft parking plans as well as loading and unloading priorities. Also included at the hub are a unique package and sorting system with 16 high-speed sorting lines, seven round-out conveyor belts and a total of 90 primary and secondary document-sorting splits. With the new advanced system, up to 24,000 packages can be sorted an hour at the start of operations. Construction began in 2006 and the hub was originally scheduled to open on December 26, 2008. But on November 17, 2008, after several months of testing, FedEx announced that the opening date was delayed to the first half of 2009 when the hub was expected to be fully operational. FedEx claimed that the revised operation date "provided FedEx with the necessary time to fully test all systems and processes, as well as work closely with the Guangzhou authorities to ensure all necessary approvals are in place". On December 17, 2008, the hub completed its first flight operations test. A FedEx MD-11 aircraft took off from Subic Bay International Airport in the Philippines and landed at Baiyun Airport at 5:50a.m.. The flight was handled by the new FedEx hub team, utilizing the FedEx ramp control tower and the new 24,000 package per hour sort system. Following a successful operations' process, the flight departed on time for its final destination at Charles de Gaulle International Airport in Paris, France. This Asia-Europe flight route operated four times per week during test run. FedEx also announced that the hub would start operation on February 6, 2009. FedEx closed its 13-year-old Asia-Pacific hub at Subic Bay of northern Philippines on February 6, 2009 with the last flight leaving for Taiwan just before dawn, while hub operations have moved to Baiyun Airport. The first flight that arrived at the new FedEx Asia-Pacific hub originated from Indianapolis International Airport. The MD-11 aircraft landed at 11:07p.m. at Baiyun International Airport from Charles de Gaulle International Airport in Paris, marking the opening and full operations of the new Asia-Pacific hub. The above content comes from Wikipedia and is published under free licenses – click here to read more. Fuel Jet fuel avaiable but type is unknown. 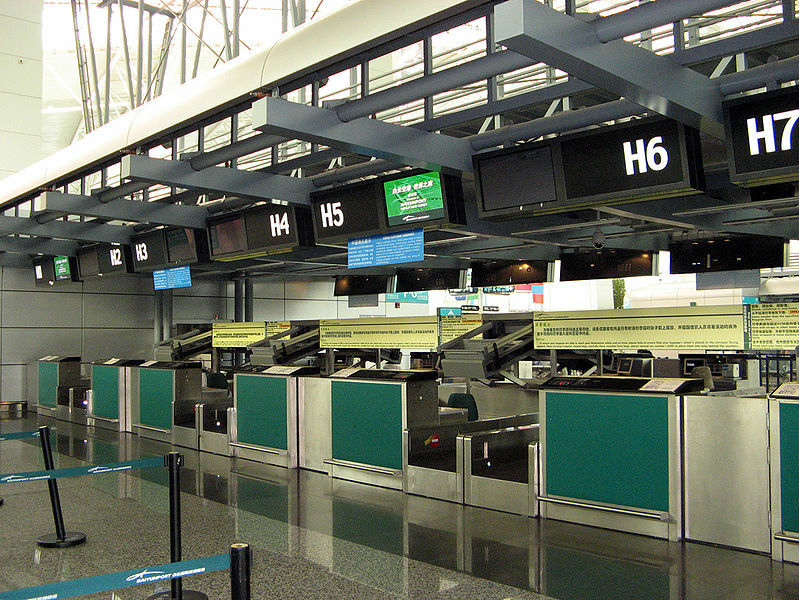 The content above was published at Airports-Worldwide.com in 2010. We don't guarantee the information is fresh and accurate. The data may be wrong or outdated. For more up-to-date information please refer to other sources.